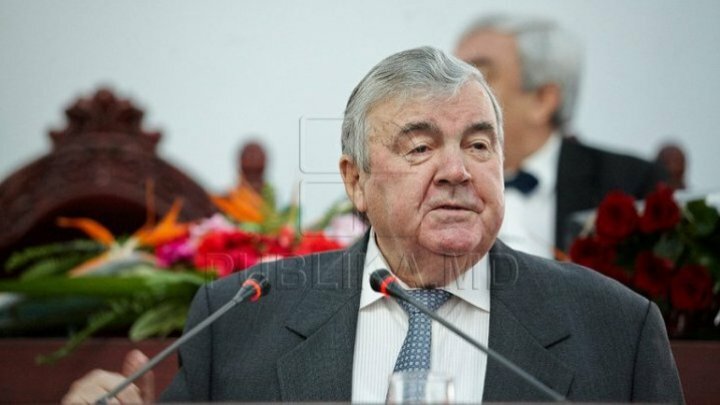 The first president of the Republic of Moldova, Mircea Snegur, received the title of Doctor Honoris Causa. The appreciation came from the Tiraspol State University headquartered in Chisinau, an institution that the former head of state shifted in 1991 from the conflict zone. The former head of state claims that the title honors him. "This honors me and make me proud of it. It encourages me to give more precious lectures to the students", said the country's first president, Mircea Snegur. The teachers present at the event evoked painful memories. Mircea Snegur was the president during the period 1990-1997.